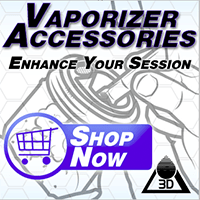 Planet of the Vapes is one of the biggest online vape stores specializing in dry herb/cannabis devices. 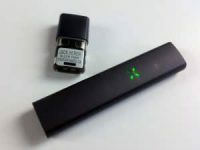 You may not find all the weed words on their site, but they’ve been rounding up and selling the best weed vapes for several years. THE ONE is immediately recognizable as the Fury 2 – one of my absolute favorite ultra-portable dry herb vapes. In the vape demonstration video, I point out each difference and put each of them to the test. The One use an aluminum bowl. The Fury 2 uses a stainless steel bowl. Ok. The One uses a stainless convection heater. The Fury 2 uses a NiChr heater. Alrighty. The One vibrates when its ready! Nice! Fury 2 doesn’t. Dam. 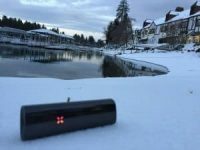 Planet of the Vapes chose the right vaporizer to put their name on. The vapor from The One is remarkably pleasant with a great blend of potency and fluff. The vapor inhale is bright and delicious while the exhale is smooth and cloudy. As expected! It’s cool that the glass accessories for The One don’t reduce the bowl size like the others. Not that it’s a complaint… but it’s nice to have the full bowl on the WPA. The One is fantastic. So is the Fury 2. They each have some slight differences, but You can’t go wrong either way. 1) talk to me about replaceable vs non-replaceable batteries. ONE is non-replaceable, right? Does that mean if the battery dies/can’t be recharged properly, there is no way to replace it? Why should/shouldn’t I be worried about that? 2) please compare using ONE with the Curved Mini Bubbler to using with Water Pipe Adapter and an inexpensive water pipe (have seen some decent looking ones lately for $20-25).